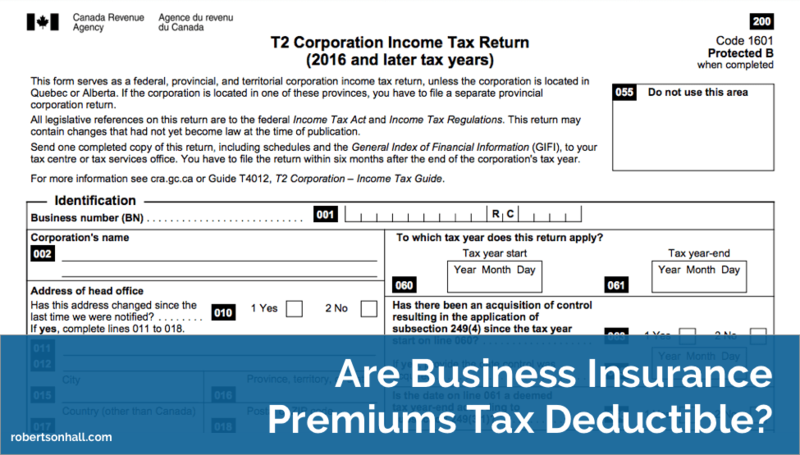 Are Business Insurance Premiums Tax Deductible? “You can deduct all ordinary commercial insurance premiums you incur on any buildings, machinery, and equipment you use in your business. The insurance costs related to your motor vehicle have to be claimed as Motor vehicle expenses. The insurance costs related to business use of work space in your home have to be claimed as business-use-of-home expenses. If you have questions about your business insurance, contact us, and we’ll happily provide you with the right information.